Agenzia Fides – “Islamist groups have killed and beheaded a young Christian man, seriously wounding another. The incident, which occurred on 8 January, was reported to Fides only now by a priest in the diocese of Homs. 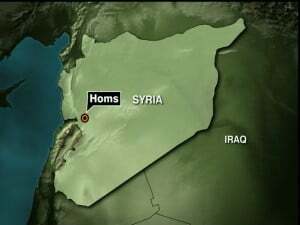 The two, Firas Nader (29), and Fadi Matanius Mattah (34), were traveling by car from Homs to the Christian village of Marmarita. A group of five armed jihadists intercepted the vehicle and opened fire on the car. Upon reaching the car, militiamen, noting that Fadi was wearing a cross around his neck, beheaded him. They then took money and documents, leaving Firas on the ground wounded, believing he was already dead. Firas instead managed to escape, reaching the town of Almshtaeih on foot and was then transferred to the hospital in Tartou. Some of the faithful were able to recover the body of Mattah, bringing him to Marmarita, where the local Christian community expressed strong indignation for the horrible act carried out. According to a statement sent to Fides by Aid to the Church in Need (ACN), violence against Christians in Syria, is becoming ‘one of the worst persecutions endured by Christians in this part of the third millennium’. According to the latest reports, more than 600,000 Christians – a third of the total Syrian faithful – are internally displaced or living as refugees in neighboring countries. Christian leaders confirm the massive exodus of Christians from Syria, which could seriously jeopardize the future of Christians in the nation. As ACN in Homs highlights, Marmarita and Hamat, the Syrian population, which includes many Christians, live in severe discomfort and without food, heating, shelter and medicine because of the bitter cold weather that has worsened the humanitarian crisis which exists due to the conflict.” Source – Agenzia Fides. Flashback: Syria: Rebels Attack Christian Homes, Churches, Many Feared Dead, ‘Convert To Islam Or You Will Be Beheaded’ – “A Maaloula resident said the rebels, many of them sporting beards and shouting [Allahu akbar], attacked Christian homes and churches shortly after moving into the village overnight… Now, Maaloula ‘is a ghost town. Where is President Obama to see what befallen on us?’ asked the man… Another resident, a Christian man, said he saw militants forcing some Christian residents to convert to Islam. ‘I saw the militants grabbing five villagers Wednesday and threatening them (saying): `Either you convert to Islam, or you will be beheaded,’ he said.” Read more. These are indeed “the souls under the alter, slain for the word of God and for the testimony which they held” that John saw and spoke about in Revelation 6: 9. Our brothers and sisters are in the tribulation already and have been for years under Islam the 4th and last horrible beast. It is illogical to use quotes from one crazy faith to criticise another. You have an issue with people stating facts then? Arund the world, Christians, Buddhists and Hindus amongst others ARE being killed in unprovoked attacks by devoted muslims. To ‘bill carr’ Re: his response to ‘Sharon’ – Are you saying that Jesus Christ is crazy? Well, I don’t think so, but if that is what you believe then it may very well be YOU who is the crazy one! NaAaAaAaAa…….. Sad, that’s all I can say…. Isaiah 17: 1 and Ezekiel 38 and 39. Islamist men you must bring the Mahdi out of his hiding place go to Syria and fight to bring the Imam Mahdi into the open. Leave your homes where you are and participate in this great conflict. The Mahdi wants you to do this, to show that you believe in this Islamic prophecy. To die for Allah is the height of Islamic faith.